Exotic locations, unforgettable adventures and ultimate luxury are the three key ingredients driving the success of APT’s Luxury Small Ship program, according to the company’s General Manager Marketing and Sales, Debra Fox. Commenting on the award-winning cruise and tour operators newly-launched Luxury Small Ships brochure, Ms Fox says, “Since we launched this product in 2011 it has gone from strength-to-strength, and as a result in the last twelve months we’ve increased our number of charter nights by well over 300 percent. The program offers guests the choice of two distinct styles of cruising; small ship cruising, providing indulgent cruising to both popular and unusual destinations, mainly in Europe ; and expedition cruising, whereby a team of expert guides take guests on a path less travelled, exploring remote regions, stopping at unique and more established ports and using a fleet of zodiacs to enable guests to get up close to local nature, wildlife and culture. 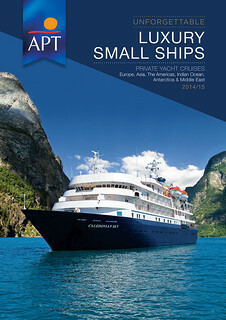 To cater to its growth, APT has included additional ships for 2015 taking the total number of vessels used in the program to eight: the stylish 44 cabin luxury private yacht, the MV Tere Moana will serve guests sailing on Mediterranean itineraries; and the elegant 132 cabin luxury small ship, L’Austral, will carry guests on APT’s Canada and Alaska cruises. 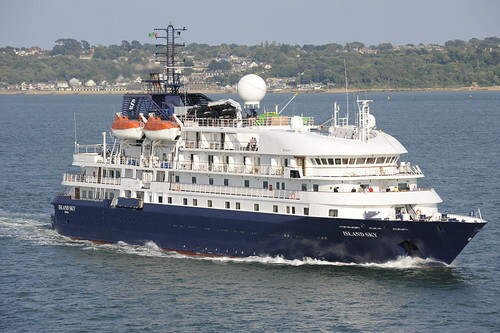 They join the MS Island Sky, MS Caledonian Sky, MV Variety Voyager, Sea Explorer, Sea Cloud II and Oceanic Discoverer. Travelling aboard one of APT’s small luxury boutique-style ships, guests travel in groups of between 70 to 200 per sailing, enabling them to form friendships with fellow travellers as well as venture off the beaten track to visit hard-to-reach, exotic destinations, traditionally inaccessible to larger vessels. Also personalising the experience further is the high crew to guest ratios of 1:2 per sailing. The total number of itineraries has also increased for 2014/15 with APT adding seven new cruises to its portfolio of 30 itineraries which vary from 10 to 30 days in length. The program, designed specifically for Australian and New Zealand guests covers the length and breadth of the globe, from Europe, Asia and The Americas to the Indian Ocean, Antarctica and the Middle East. Following on from the sales success of Kimberley and Alaska as APT Luxury Small Ship destinations in 2014, APT is expecting Antarctica, Asia and the British Isles to feature as popular small ship cruise destinations for 2015. The new brochure features an early booking deal which offers couples the chance to save up to $2,000 on any Small Ship cruise as well as a further $2,000 per couple on any consecutive cruises booked. Offer is subject to availability. Included in the price of all Luxury Small Ship itineraries is an APT Cruise Manager (or on expedition cruises, an Expedition Leader and team of onboard experts and lecturers), a knowledgeable and experienced crew, entertainment, tipping and port charges, all meals, wine, beer and soft drinks with lunch and dinner on board the cruise, all shore excursions, sightseeing and transfers.